How Do you know this cat is spayed? Tara will spay/neuter, rabies shot, ear cleaning,and nail trimmed for $70.00.Your pet cat, the strays you have been feeding, even the litter of kittens you found living under your porch. The CATS living in the Town of Montgomery ,Walden,and Walkill are the Luckiest Cats in the area! 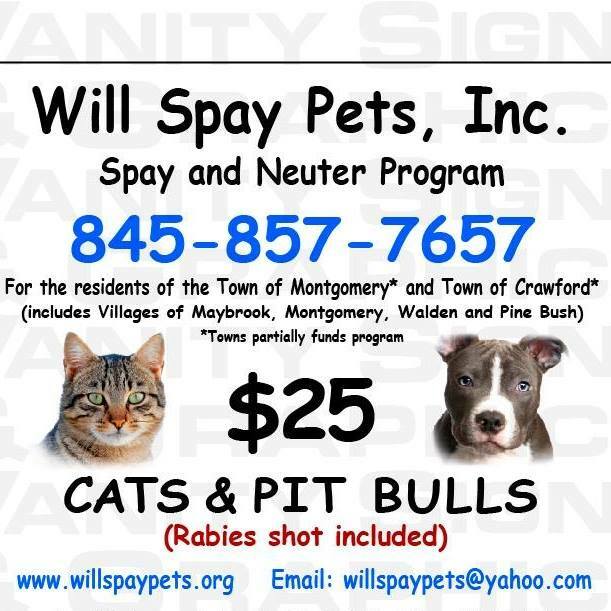 These towns are aware of the cat overpopulation in their area and willing to work with Will Spay Pets & T.A.R.A. to do their part of preventing birth of kittens that are born only to die. Residents of Ulster County can have cats Spayed/Neutered at the Ulster County SPCA. 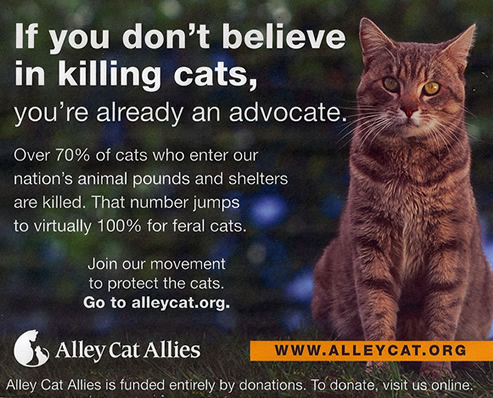 The price of a Feral Cat in a trap is $20.00. Call today for more info and to make your appt.